We live in strange times. There is so much bizarre news happening every day that some truly amazing things get overlooked. Like when the US government released videos of UFOs that went largely ignored back in December 2017. Or, just this week, when scientists announced they kept disembodied pig brains alive for 36 hours. Just a brain without a body. Like Krang from the Ninja Turtles. If you weren’t aware of this marvel of science, don’t worry, Science Everywhere has you covered. We sent our most intrepid journalist, me, to Yale University to check out what was happening. The following is the transcript of an interview I had with a researcher at Yale about their floating pig brain research. Oh, scratch that, not “researcher”. Researchee. Or subject. Whatever you call the pig brain. Participant? I interviewed the pig brain, is what I’m saying. It was quite a mind-blowing experience. Hey-O! Pig Brain: Ahhhh! Where am I? What am I? What’s going on? Dan Re: Relax, you’re a disembodied pig brain. Everything is fine. I’m here to interview you. 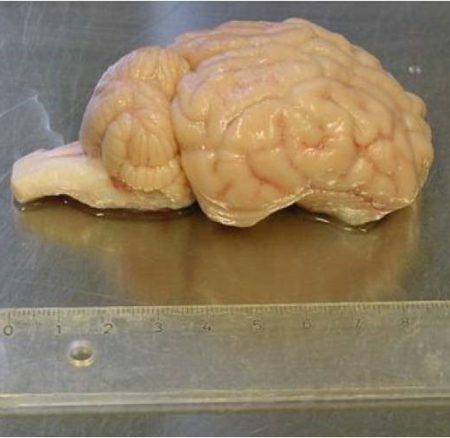 PB: Disembodied pig brain? That doesn’t sound fine at all. Why do I not have a body? DR: You were recovered by neuroscientists from Yale from a slaughterhouse. You and about 99 of your friends had your brains removed for research purposes. PB: Yeah, not my definition of “fine”. Can you explain how I know English, or am even talking to you right now, given that I have no mouth? DR: Well, over 1.5 Billion people speak English, that’s nothing too impressive. You must’ve been raised on an English-speaking farm. As for communicating with me, I assume you were a telepathic pig. Now can we move on, or do you still want to play catch up? Typical pig. I come all the way to Yale, and all he wants to talk about is why he’s just a brain and can talk now. You can take the brain out of the pig, but you can’t take the pig out of the brain, amirite? PB: So how am I alive right now if I’m just a brain? DR: You’re floating around in a bucket that connects a closed loop of tubes that circulates red perfusion fluid, kind of like blood. That fluid carries oxygen to your brain stem and cerebellar arteries, similar to how blood carries oxygen to the brain in mammals. They call the whole get-up BrainEx. PB: BrainEx? Sounds like a mail service exclusively for brains. I guess Yale’s marketing department isn’t up to par with their pig brain removal department. Why did they do this, again? DR: Actually, it’s pretty cool. The Yalers wanted to create a comprehensive map of connections in the brain. The idea is to eventually be able to do the same thing with a human brain, so the researchers can find cures for brain cancer and Alzheimer’s disease. PB: Well then how the hell come they didn’t use a human brain? DR: Beats me. Maybe all the human slaughterhouses were closed. PB: You’re a riot. 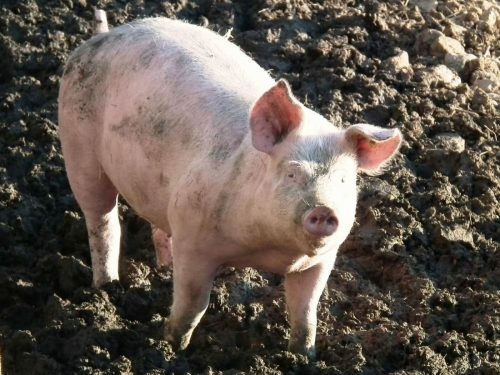 So are all of us pig brains conscious? DR: No, just you. The neuroscientists say the rest of the brains aren’t aware of anything. One guy says that “steps could be taken to restore awareness”, and someday, it’s possible that a brain could be turned back on, like in Re-Animator. DR: Oh right. It’s a horror movie from the 80’s where a guy brings another guy’s head back to life. I forgot pigs don’t watch movies. PB: We do watch movies, just not crappy horror movies from the 80’s. DR: Oh, too good for Re-Animator, eh? What do you like then? 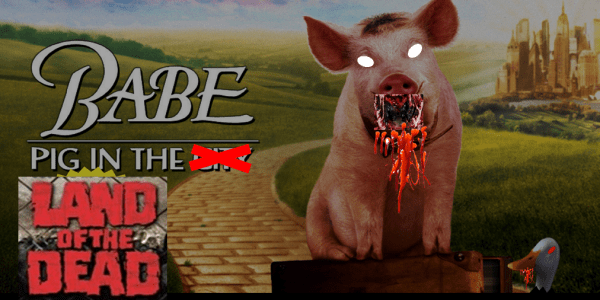 PB: I like Babe: Pig in the City. DR: Of course you do. I guess you’re kind of like the re-animated Babe. PB: I…guess so. So everyone’s just chill with pulling out brains now? I would’ve guessed that was kind of a moral gray area. DR: Oh heck no. There’s all kinds of ethical issues here. Like, it probably wouldn’t be ethical to keep a sentient brain without a body. But if you could fire up brain activity in a bodyless brain, at what point do you achieve “consciousness”? And if you could achieve consciousness, would the brain have rights as a thinking being? These are all questions that have to be answered. PB: And knowing humans, I’m guessing people are already talking about transporting brains to new bodies, thus essentially granting immortality to a person’s mind. DR: Bingo. Which raises questions about whether keeping people’s “minds” alive and cycling through bodies is a good idea. It even challenges the conception of death, since you could presumably be body-dead, but still conscious. That would be a nightmare. PB: …or basically what I am now. DR: Oh right, sorry. I forgot. PB: (Siggghhhh)…it’s cool. It’s not like being a pig was all that great anyways. 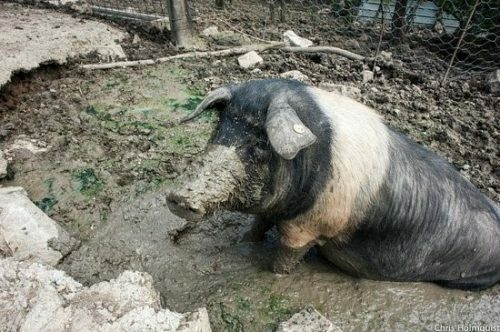 Most of the time you just wallow in mud, and I hate being dirty. DR: Not to mention eating slop all the time. I guess the choice of not being a pig would be a “no-brainer”. Hahaha! PB: Haha! I would usually be pretty “pig-headed” about it, but I guess that’s not an option anymore! It’s like an “out-of-body” experience for me! Hahaha! DR: Hahaha! Ahhh, man…you’re alright, disembodied pig’s brain. You’re alright. PB: Thanks man, you too. I just wish we could’ve met up before all this. We probably would’ve been pals. Now I’m just a brain, stuck here in my BrainEx. Oh well, in another life, I guess. DR: …Hang on a minute. I might have a way to get you out of here. Have you ever seen Ninja Turtles? Dan and Disembodied Pig’s Brain were last seen flying away from Yale, and off to freedom. Email Dan or post on our Facebook / Twitter to see your topic covered here.